Aortic dissection is a life-threating condition which is caused by sudden separation of the aortic wall. The most common risk factors are elderly age, hypertension, and genetic background. Understanding the normal anatomy, development and physiology of the aorta is important to understand pathogenic mechanisms of aortic dissection, as will be discussed in the first section. 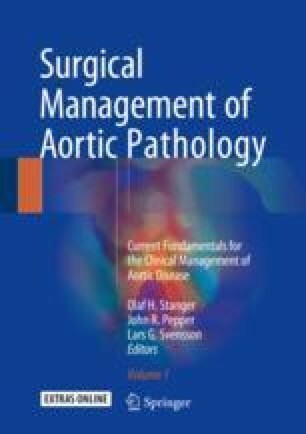 There have been substantial advances in the last decades mainly for syndromic aortopathies. In contrast, mechanisms of non-syndromic aortic dissection are still unclear, and the prediction of patients at risk, or prevention of this condition, remains difficult. However, recent studies have started to unveil the triggering mechanism such as novel inflammatory pathways and molecules from new mouse models. In the latter part of this chapter, we will also refer these new insights and potential therapeutic targets.